When an aspiring writer moved by the classic tale Alice in Wonderland meets a group of magically gifted young girls, the literary fuel for a new and truly fantastic "Alice" story is revealed. Key Princess Story is a fantastic adventure of a hopeful scribe and a group of girls with special powers in pursuit of the missing third book of Alice called "Eternal Alice." 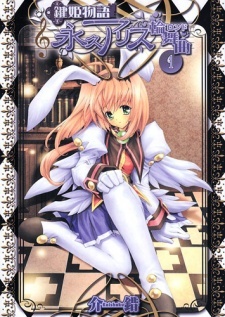 Kagi Hime Monogatari: Eikyuu Alice Rondo was published in English as Key Princess Story: Eternal Alice Rondo by DrMaster from October 30, 2006 to July 29, 2007. A boxset with the first two volumes was released on September 18, 2007.